It is no secret that high blood pressure (HBP), also known as hypertension, is not healthy. HBP is when the force of your blood pushing against the walls of your blood vessels is constantly too high. Blood pressure is a normal part of the circulatory system. As the heart beats, it creates pressure that pushes blood through your arteries, veins and capillaries. It also causes pressure as the heart rests between beats. However, too much pressure, on a consistent basis, will cause damage the delicate tissues inside the arteries. Now, a new study, recently published by Oxford University Press, says patients with high blood pressure are at a higher risk of developing dementia, reaffirming the theory that the vast majority of dementia cases are not due to genetic predisposition, but rather to chronic exposure to vascular risk factors. Researchers screened subjects aged 40 to 65 to perform a series of MRI scans and examinations to evaluate their hypertensive status and possible organ damage. A specific group of tests was administered aimed at finding specific changes in the brain’s white matter microstructure. The tests showed that hypertensive patients exhibited significant alterations in three specific white matter fiber-tracts. 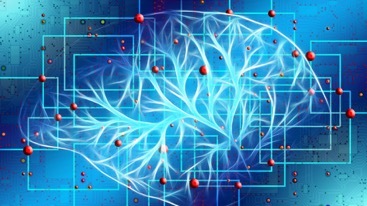 Those patients also scored significantly worse in the cognitive brain regions connected through those fiber-tracts, resulting in decreased performances in executive functions, processing speed, memory and related learning tasks. The results of the study concluded that patients with these affected white matter fiber-tracts could be targeted with medication earlier to prevent further deterioration in brain function. Early intervention could help patients before premature signs of dementia begin to appear. If you feel that your loved one is being adversely affected by HBP, contact your physician immediately. It’s never too early to find ways to prevent cognitive deterioration. Helping those diagnosed with dementia or memory impairment—as well as giving families an improved quality of life—is my goal. Please feel free to contact me with any questions, or if you are interested in my services.